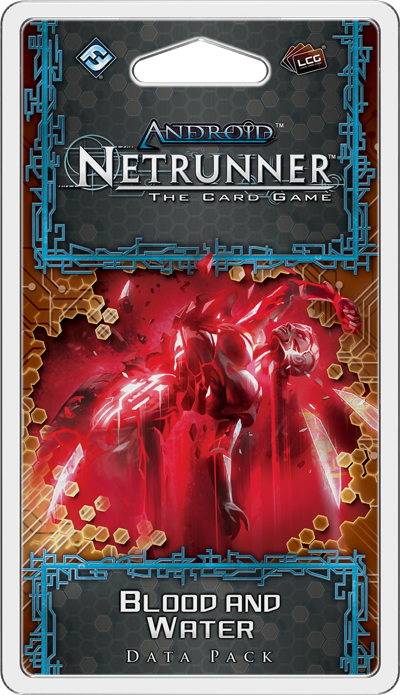 Blood and Water, the fourth Data Pack in the Red Sand cycle for Android: Netrunner is on sale now and introduces sixty new cards (three copies each of twenty unique cards) that explore not only the everyday hardships of life on Mars, but also the exciting new thrills that can't be found anywhere else in the galaxy! The challenges of Mars can prove irresistible to runners with an innovative streak. And the hardware developed by these runners reflects the joy they take in overcoming obstacles. 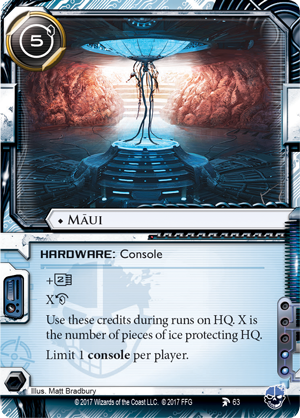 Both Los' preferred console, Maui (Blood and Water, 63), and the mysterious Daredevil (Blood and Water, 66) console, reward players for running against servers protected by multiple pieces of ice. 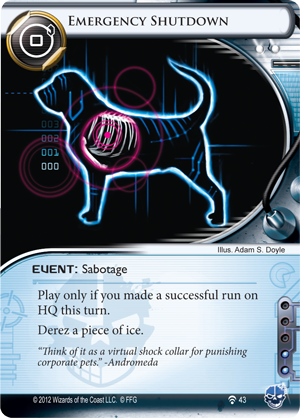 Criminals have always presented a significant threat to the Corp's HQ. 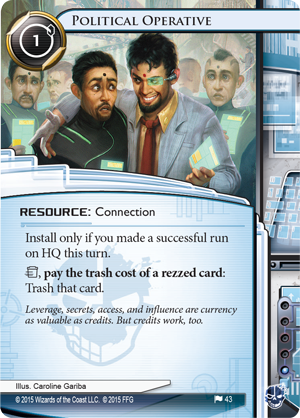 While cards like HQ Interface (Humanity’s Shadow, 85) and Legwork (Honor and Profit, 35) offer them multiple chances at finding an agenda, other cards, including Political Operative (Democracy and Dogma, 43) and Emergency Shutdown (Cyber Exodus, 43), let them wreak havoc on the Corp's board state after they've made a successful attack. It's no surprise, then, that most Corp players defend HQ as heavily as they can when they see a Criminal ID hit the table. 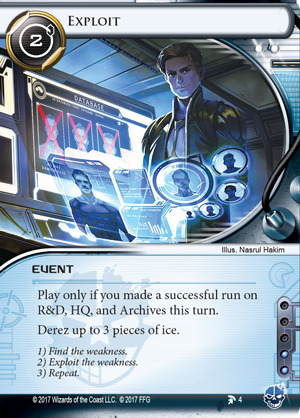 Maui tilts this strategy against the Corp by giving the Runner a recurring credit for each piece of ice protecting HQ. 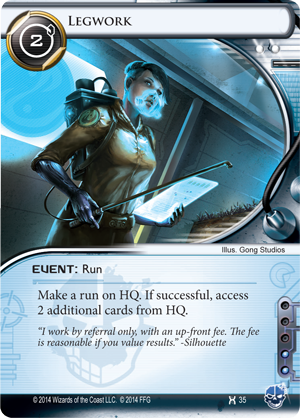 These credits can only be used while running against HQ—and if you're playing blue, you were going to do that anyway, right?—but advantageously, they can be used for anything, even if the ice protecting HQ isn't rezzed. 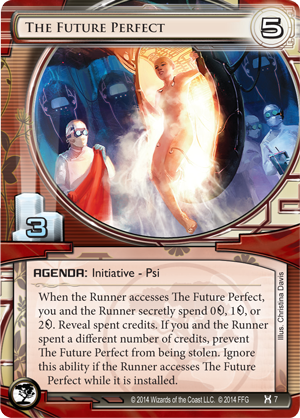 So, if your opponent can't afford to rez those three pieces of ice you just Exploited (Daedalus Complex, 4), you have three credits for your first Psi-game to steal The Future Perfect (Honor and Profit, 7) or to pay for trashing any assets you find there. 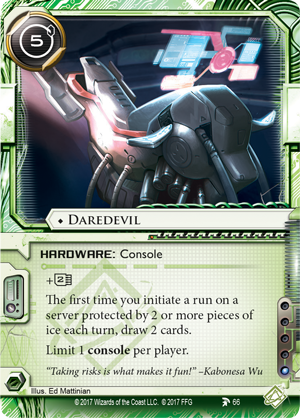 Meanwhile, Daredevil rewards Shapers with two cards for running against any server protected by at least two pieces of ice. 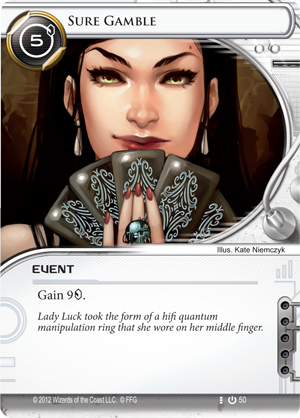 Although it only offers them this reward once per turn, the tempo advantage is significant for players who want to dig up some Dirty Laundry (Creation and Control, 52) and find their next Sure Gamble (Core Set, 50) simultaneously. 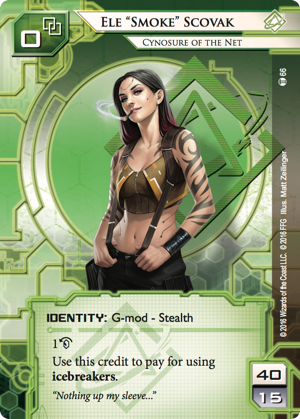 It may be even more significant for Shapers like Smoke (Intervention, 66) who can use recurring stealth credits for their first run each turn. 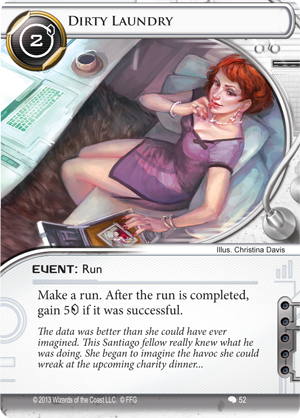 Runners aren't the only ones having fun on Mars. Without the suits from Central breathing down their necks, corporate sysops are free to get creative too. And any sysop with the skill and free reign to do so would want to create a piece of ice like Loki (Blood and Water, 69). 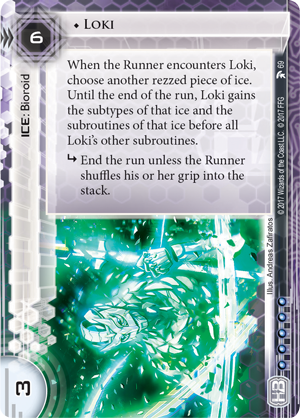 Like Mother Goddess (Upstalk, 10), Loki gains the subtypes of another piece of rezzed ice. 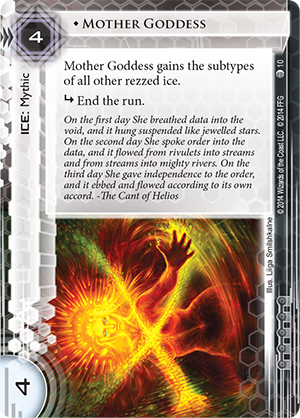 Unlike Mother Goddess though, it only gains the subtypes of a single piece of ice, and it gains the subroutines of that ice! 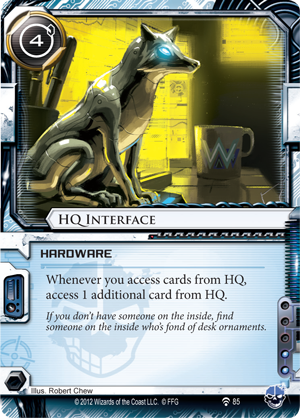 Of course, this means that some trickster playing HB could protect R&D with Mother Goddess and HQ with Loki—and no fracter, decoder, or killer would be sufficient for accessing those key servers. So, pick up your copy of Blood and Water (ADN46) today and start getting creative!